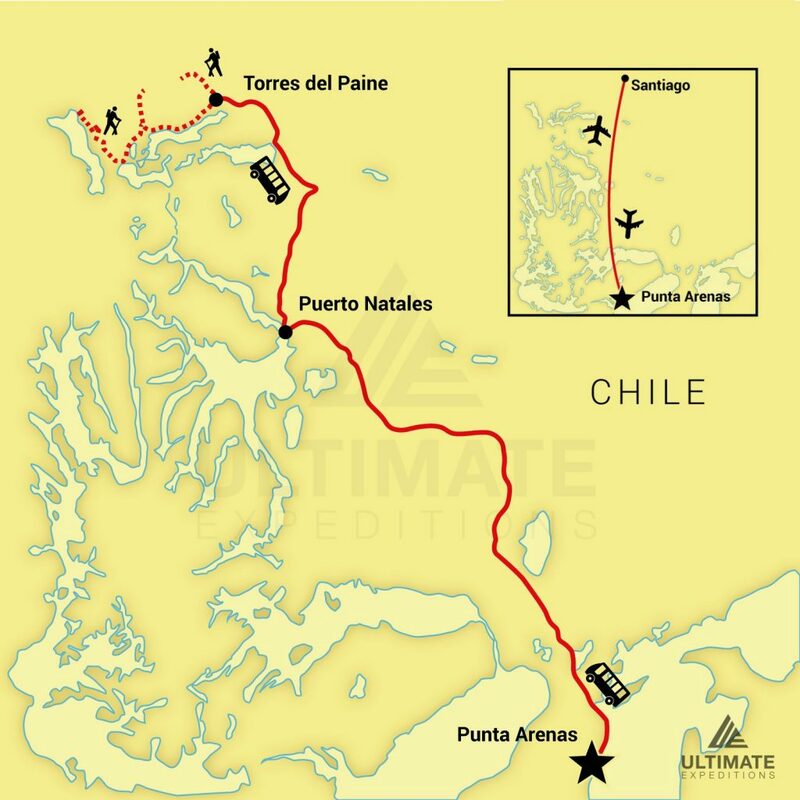 8 Day Torres del Paine “W” Trek | Ultimate Expeditions | The Best Adventures on Earth. 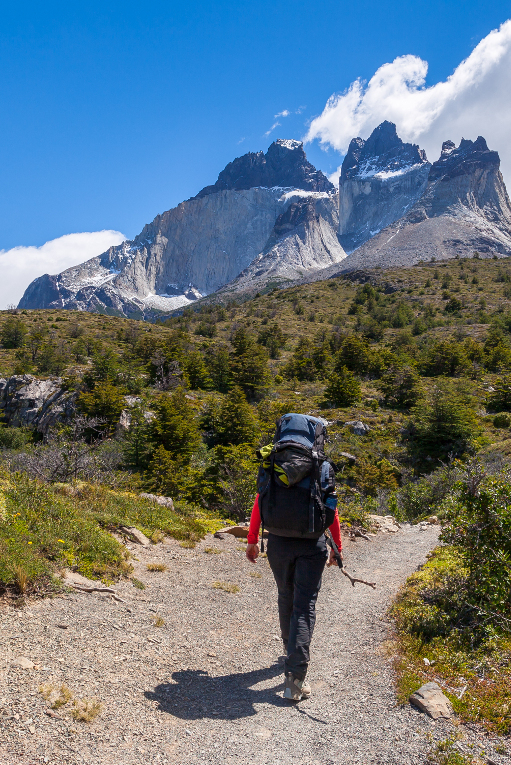 Explore the unforgettable landscapes of Torres del Paine National Park while hiking the “W” route, as it weaves in-between the craggy mountains of the park. 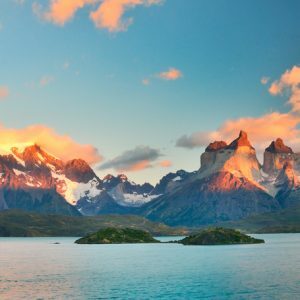 Discover Patagonia’s varied plant and wildlife on this 8 Day Torres del Paine “W” Trek that is perfect for physically-active travelers who seeks challenging hikes and backdrops of rock spires, gleaming glaciers, luminous lakes and glaciers while exploring Las Torres, Los Cuernos, Valle Frances and the infamous Grey Glacier. Your early morning start will enable you to enjoy a spectacular dawn infused with exciting oranges and pinks (weather permitting). 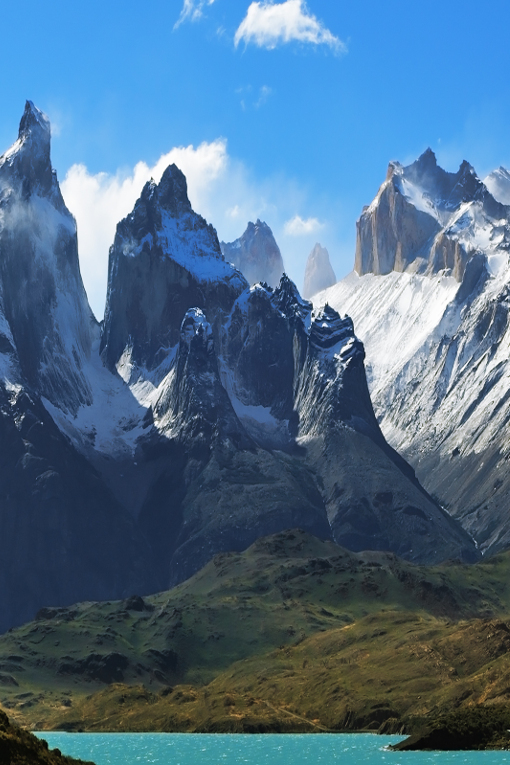 On this trail, you may see eagles hunting small rodents and the possibility of spotting an Andean condor are good. The well-marked trail ascends to around 656 feet from the Almirante Nieto Mountain base which stands at 8,858 feet above sea level. 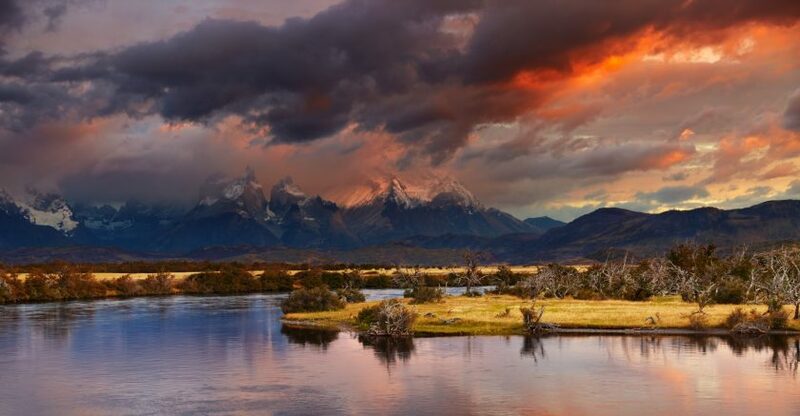 You will cross the Bader River to Refugio Los Cuernos. This 10.5 mile hike takes approximately 6 hours. 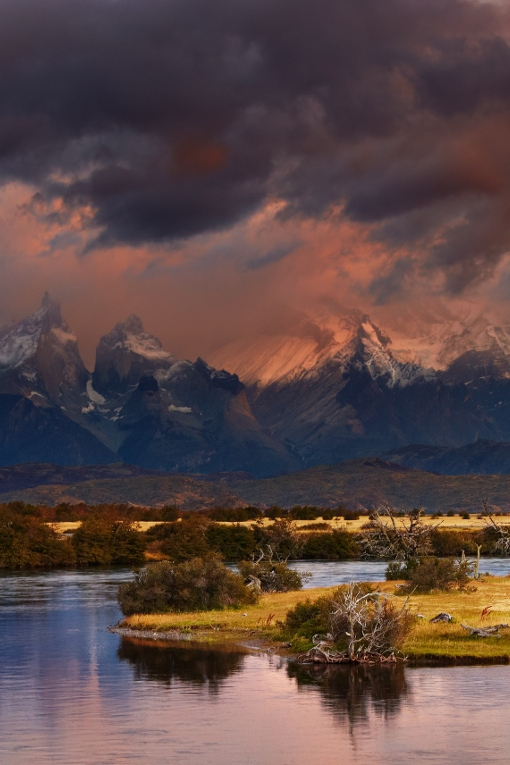 (B-BL-D) (Overnight at Refugio Los Cuernos). Your day begins with an early morning hike to the Grey Glacier. 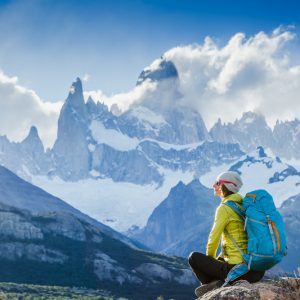 You will initially climb up a winding narrow path to the Negra Laguna, where you will savor incomparable views of the South Patagonia Ice Field with its countless unclimbed mountains. The hiking trail crosses rivers and forests where you can enjoy sightings of exotic creatures like the flying steamer duck. 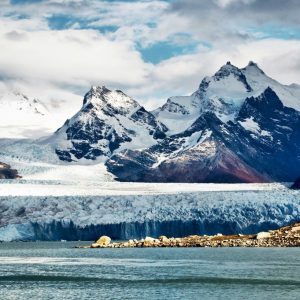 Optional Ice Hike: You will take a 20-minute zodiac trip to the Nunatak western side and then hike for an hour to reach the glacier. Here expert guides will prepare you with the necessary equipment for your ice hike. You have an optional morning kayak at Grey Lake. At 9am, you will be taken to the lakeshore, where expert guides will prepare you with the equipment needed, along with a safety briefing. You will have the opportunity to paddle around floating icebergs in the lake.